Lizzy has been hard at work in the scrapbook room again. 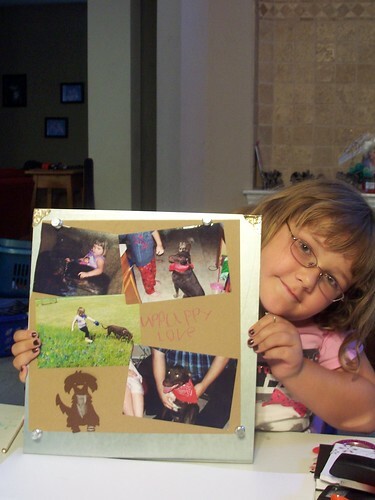 Today we are sharing her Puppy Love layout. I wish I'd had some of her talent when I was seven!